I … am an Imperialist because I will not be a Colonial. – Stephen B. Leacock, 1907. It was on Laurier’s watch that there arose a vocal debate among Canadians about empire and nation. Briefly, there were those who believed Canada’s destiny was in the arms of the British Empire, where it would mature and inevitably wield greater and greater authority, perhaps someday challenging Britain’s leadership of the whole. There were others who contended that Canada was a North American nation, one that need not be drawn into imperial adventures, a nation that had conquered half a continent and which would be better off autonomous and self-confident. Inevitably, elements of the two sides bled into one another: The imperialists were nationalists and the nationalists’ rhetoric was littered with imperialist language. One was outward looking; the other inward. The imperialist view called on strong pro-British sentiments that echoed the ordeals of the Loyalists of 1783, and the defence of British North America against the United States in 1812 and 1866; the nationalists invoked the accomplishments of the voyageurs and the Hudson’s Bay Company, the native political traditions embodied in the rebellions of 1837-38, and the peculiar, dual cultural qualities of Canada. …represented a number of emerging trends in the early 20th century: While she embraced the ideal of the New Woman, she firmly maintained a great emphasis on respectability and conventionality. She was a proud Canadian with unabashed loyalty to the Empire. She is known for exporting a Canadian idea to the mother country – Women’s Institutes, an organization for rural women, which she succeeded in transplanting to England and Wales. An appetite for change and a tireless devotion to improving the condition of women internationally, as the case of Watt demonstrates, could be very closely aligned to a socially conservative way of being; nationalism and imperialism could be found in the same heart. Laurier’s nationalism was, rather typically, one that sought to find a compromise; which is not to say it was disingenuous. He had a long career of lauding British institutions and especially British liberalism. Was he that fervently loyal? It’s possible, but it is also certain that, as a French-Canadian and a Catholic he felt — rightly — that Anglo-Protestants needed regular reassurance on this score. And while he was espousing a deep personal loyalty to the Crown, he believed that Canada was a North American country with a powerful North American neighbour whose economy was increasingly important to the success of Canada. Two of the most prominent voices in the debate over Canada’s future were a pair of contemporaries, both born in the first two years of Confederation: the Quebec Nationaliste, Henri Bourassa (1868-1952), and the English-Canadian Imperialist, Stephen Leacock (1869-1944). Their disagreement played itself out in the two decades before the Great War, although it had begun before them in the mid-19th century. It would continue in different forms throughout the 20th century. In a society in which the individual was more important than the whole society, scholars and politicians and journalists at the turn of the century struggled to describe the society or nation to which the individual should belong. What’s more, these ideas about Canadian-ness were deadly serious insofar as they were freighted with disagreement over what constituted Canada and when, and under what conditions, Canada should send its people to war. A Canada-wide ambivalence on this topic marked the administration of Wilfrid Laurier in particular, but it has never fully gone away. The Canada First movement was established in 1868. It drew in some of the most articulate English-Canadian politicians and writers of the day, including Edward Blake, Charles Mair, Robert Grant Haliburton, and John Schultz. This was a very mixed bag, held somewhat more firmly together by the influence of British historian Goldwin Smith (who arrived in Toronto in 1871 from Oxford via Cornell University). What united the group was a suspicion of American ambitions and a belief that Canada represented the best hope for a northern, Protestant, and Aryan race. In this regard they were starkly anti-Irish, anti-French, and anti-Catholic, as Schultz and Mair both demonstrated at Red River in 1869-70. Their shared Aryanism was typical of the racist and imperialist views of the day. Efforts to produce a competitive Canada Party in federal politics failed, but much of the spirit of this movement was to survive in a variety of forms and its ideas would help to formulate, eventually, a restructuring of the British Empire. Imperialism in Canada points in two directions. Firstly, it is oriented outward and inward from the St. Lawrence, looking toward Britain while taking in — as Canada’s own empire — the West and the North. While the Maritimes also came under its sway, that region’s population also and independently felt the tug of the North Atlantic economy and had done so for centuries. Secondly, Canadian imperialism is enmeshed in the larger British imperial enterprise: Canadians like John A. Macdonald applauded British territorial and commercial gains and were pleased to bask in the reflected glory of Britain’s military and economic might. The question for Canadian imperialists of this kind, however, was whether Canada was as junior a colony as the many African and Asian territories claimed by Britain, or was it a senior and largely autonomous member of the British imperial family? Conveniently, an influential group in the very heart of London provided an answer. The Imperial Federation movement began in England in the 1880s and quickly gained momentum in Canada. Among its leaders on this side of the Atlantic were the enormously popular writer and satirist Stephen Leacock, the cleric George Monro Grant, and the educator and writer George Robert Parkin. The Canadian Imperialists, as historians describe them, ranged in age from the youthful Leacock through the very middle-aged Grant, but they were solidly Upper Canadian Ontarians. From 1868 to the Great War and beyond they presented a vision of a Canada that was not only embedded in the Empire but a likely heir to its leadership. Canada was draped in the Union Jack but with rippling muscles and vitality bursting from every pore, unlike the tired old British lion, care-worn by years of managing an empire and physically degraded by decades of industrial labour, crowded cities, and bad food. The Canadian Imperialists drew on Canada’s northern-ness as a source of collective and mythic cultural strength. As imperialists they expected that Canada would join in British wars abroad because those were, effectively, Canadian wars. And (as Leacock indicated at the outset) they rejected being subservient and pathetic colonials looking to Britain to protect their interests and sovereignty. They would be imperialists — active, contributing, committed — because being colonials was narrow and emasculating. They were, in this regard, outward-looking and internationally-minded, even if they perpetuated the Anglo-philic and Franco-phobic tendencies of the Canada Firsters. 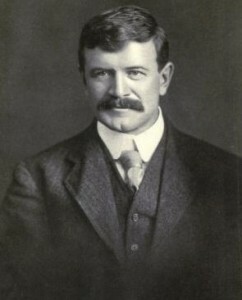 Figure 4.11 Stephen Leacock in 1913, on the brink of the war between the empires. Imperialist anger simmered when Prime Minister Laurier tried to moderate imperialist and nationalist antipathies at the outset of the Boer War (see Sections 4.6 and 4.7). While many Québecois remained hostile to the war, imperialists were enthusiastic and celebrated what were viewed as landmarks in an emerging Canadian military tradition. Huge parades welcomed troops home, the dead were mourned with honours and ceremony, and regiments added South African names to their banners and crests. It was, however, at this very peak that imperialist sentiment cracked a little. In 1903 a specially-struck international commission ruled on the Alaska-Canada border dispute in favour of the United States. Anti-Americanism was ramped up a few steps, but so too was anti-British feeling, even among some imperialists. The commission’s decision was transparently an effort on the part of Britain to improve relations with the United States, regardless of Canadian interests. This would feed the current within Canadian imperialism that sought greater autonomy and authority within the Empire, as opposed to the cohort that was more likely to be uncritically loyal to Britain. This understanding of Canada was very much at odds with the nationalism articulated by Henri Bourassa. The grandson of Louis-Joseph Papineau — the leader of the Lower Canadian Rebellion and a long-time politician, both before and after 1837 — Bourassa was a youthful powerhouse. He was first elected to office at 22 years of age as the mayor of Montebello (the town created by his grandfather on the ancestral seigneury). 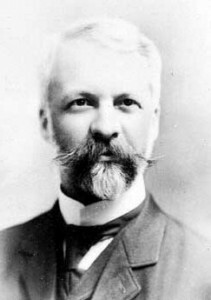 He was subsequently elected as a Liberal MP in the 1896 campaign that saw Laurier become prime minister. The still very young Bourassa was to be a gadfly to Laurier, constantly denouncing concessions made to the imperialist element while developing a cogent nationalist position. Figure 4.12 Henri Bourassa in 1917, around the time of the conscription crisis. In 1899 Bourassa resigned his seat in protest (though he quickly won it back) over Canada’s participation in the Second Boer War. He likened the Boers — Dutch-speaking settlers in South Africa — to the French-Canadians: a linguistic minority whose demands for independence were being suppressed. Like many of his contemporaries, Bourassa envisioned a Canada that could be dualistic in language and beliefs. He maintained that this cultural complexity sufficiently defined the country and that embracing it would be enough to protect the Dominion from American influences. He said on one occasion that the Québecois should be as “French as the Americans are English,” which is to say, only in language. Like many nationalist visions, Bourassa’s was ultimately inward looking and suspicious of the outside world. Two events in the early 20th century impacted the fortunes of both groups. The Alaska Boundary Dispute produced a result that outraged many Canadians and disappointed imperialists in particular. Subsequent British requests for Canadian financial contributions to the Royal Navy were divisive, not only between French-Canadian nationalists and English-Canadian imperialists but among English-Canadians, who were now articulating something like an English-language version of Canadian nationalism themselves. The Great War reinvigorated imperialism in some measure, but what was hoped in some quarters would be a military romp lasting a few months turned into something much more tragic. British commanders’ competence was drawn into question, and the effect of the Canadian victory at Vimy Ridge (followed by the disaster at Passchendaele) in 1917 was to feed nationalist sentiment and leech away imperialist support. Gradually elements of the two perspectives were moving closer together, even if animosity between French- and English-Canadians persisted. Bourassa’s long career in public affairs, the volume of writing he produced, and his prominent role in many of the key debates in national affairs made Bourassa an enormous influence on thinking about Canada — and not just in Quebec. The cross-cultural nationalism that emerged in the 1950s and 1960s owed a lot to Bourassa. Likewise, Leacock — a brilliant humourist — was one of the most widely read writers in the English language in the first quarter of the century, and his call for a self-assured, morally-centred, and globally invested Canada echoes in the country’s mid-century role as a middle power and peacekeeper. Figure 4.13 Canadian involvement in the Boer War divided nationalistes from imperialists, and set the tone for disagreement on Canada’s international role. English-Canadians with strong loyalties to the British Empire and aspirations for a larger Canadian role in world affairs became known as imperialists. French-Canadians whose suspicion of Britain’s international agenda combined with a North America-centric view of Canada articulated a nationaliste perspective. The leading figures in these two movements were men of letters, respectively: the humourist Stephen Leacock and the journalist Henri Bourassa. Satisfying the polarized interests of these two groups became one of the great challenges of Laurier’s administrations. Both movements contributed ideas that would gird greater claims for autonomy within the Empire. Stephen Leacock by YUL89YYZ is in the public domain. Henri Bourassa by Jeangagnon is in the public domain. 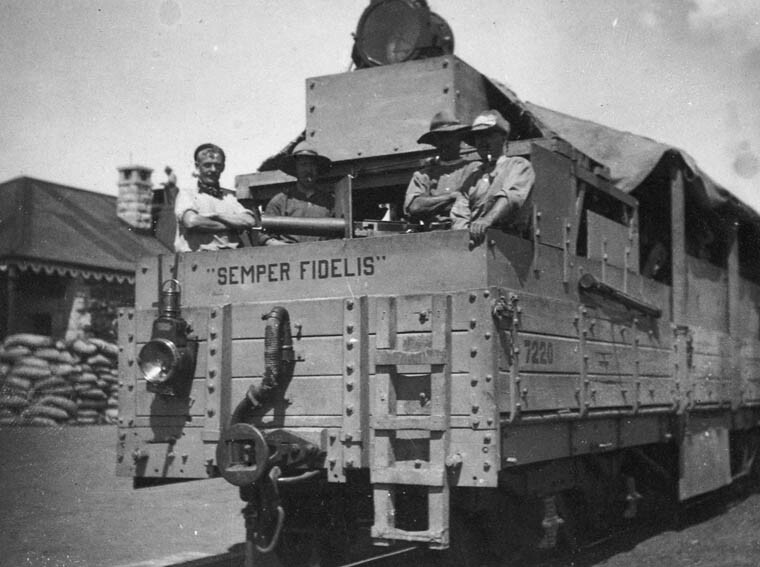 Canadian troops in armoured train South Africa Jan 1902 LAC 3407086 by Rcbutcher is in the public domain. 4.5 Imperialism vs. Nationalism by John Douglas Belshaw is licensed under a Creative Commons Attribution 4.0 International License, except where otherwise noted.